On today’s show, Jacques and Simone are back! 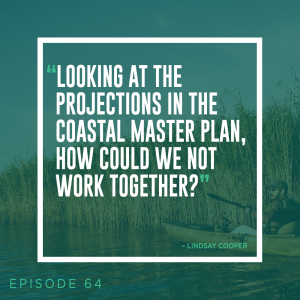 They catch up on all the coastal news of the past few weeks and then sit down with Lindsay Cooper, Governor’s Fellow at the Coastal Protection and Restoration Authority. They talk about her studies at Tulane, being President of the Tulane University Green Club, her work with No Waste NOLA, her Fellowship with the Governor and more!